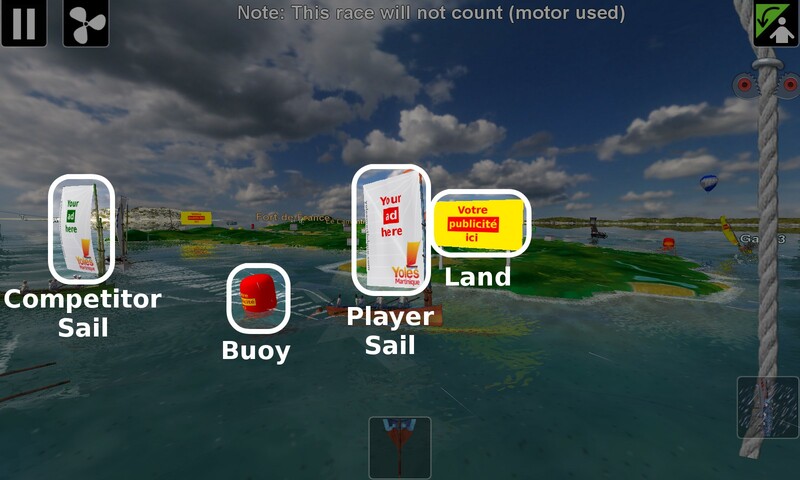 Yoles Martinique is a Top Sailor-based game that promotes the Yoles Martinique event. The game is free and available for iOS and Android (also for Linux, Windows, and OS X). 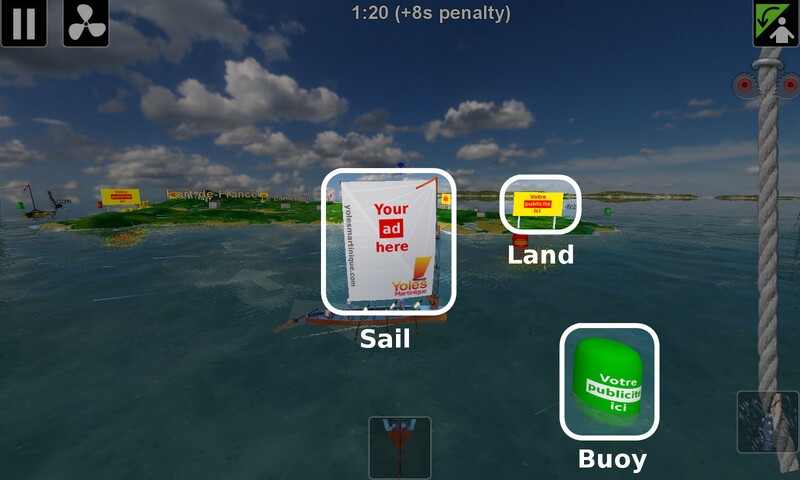 Interested parties can purchase ads within the game (1+6 sails, 6 land banners, 24 buoys). The two pictures below illustrate different kinds of ads in the game. The following image shows locations of 6 land advertisements (L.1−L.6) and 24 buoy advertisements (B.1−B.24).